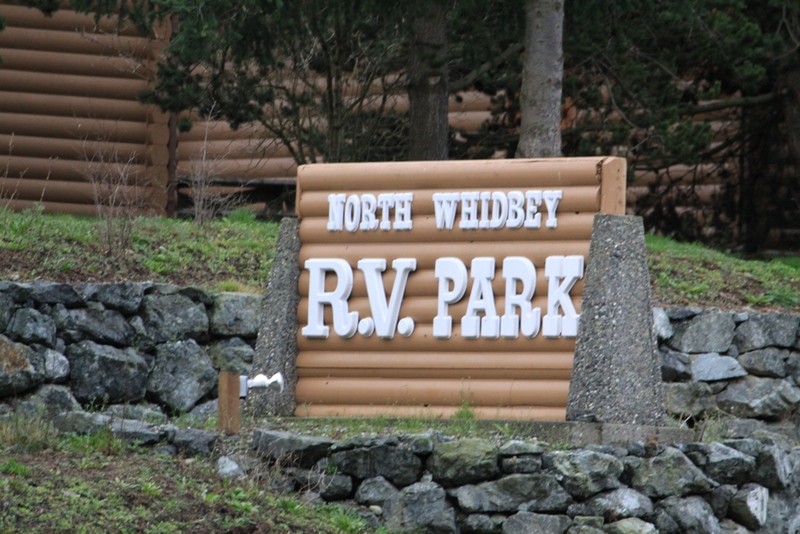 Select your Star rating above in each Category and Click "Submit Your Rating" Write a Review of your Visit of North Whidbey RV Park. .
All of our streets and RV campsites are paved. 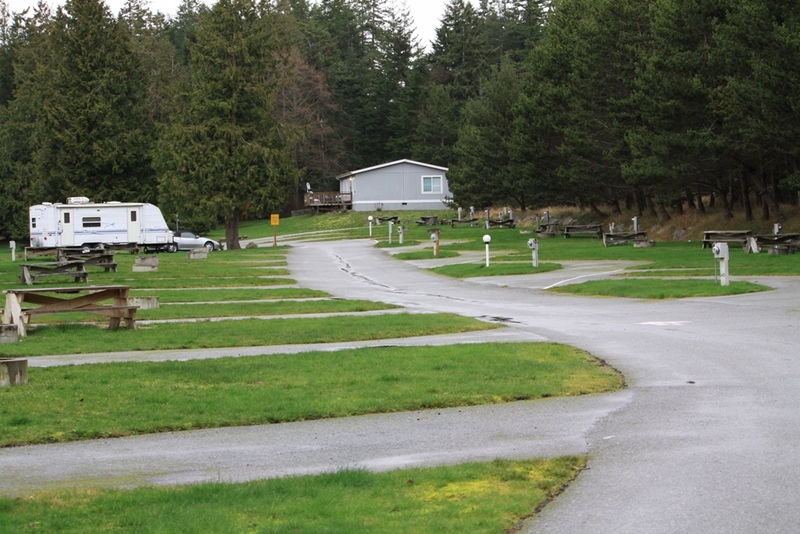 All RV campsites are full hook-up and have fire rings for marshmallow and hot dog roasts. Firewood and propane are available on site. 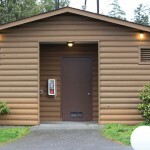 Our rest room and shower facilities are provided for our customers only. There is no additional charge for showers. We work hard to ensure that they will be among the cleanest you will find on your travels. We also have a tent area with fire rings and water available. Due to the high traffic in our summer season, reservations are strongly recommended from April 1st through September 30th. Deception Pass Bridge - Magnificent water and mountain scenery. Enjoy a view of waters so turbulent they deceived a sea captain and gave the Pass its name. Deception Pass State Park - Offers salt water beaches or fresh water swimming in Cranberry Lake. You can hunt agates, climb sand dunes or launch a boat and fish for salmon, cod and other bottom fish around Deception Pass Bridge. Maps of hiking trails in the park are available at the Ranger Station. Cornet Bay - Here are docks for fishing or crabbing, a boat launch, and beaches for clam digging or a quiet stroll. 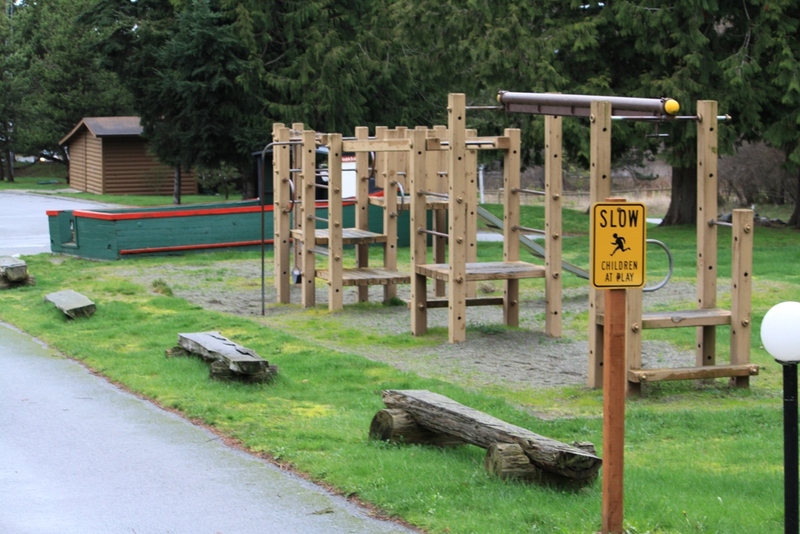 Golf - A short walk from North Whidbey RV Park you'll find a public golf course or less strenuous "putt putt" golf. Fort Casey - On Whidbey Island a few miles south of the park, the fort has underground tunnels, a lighthouse, gun batteries, and an interpretive center. A popular place for scuba diving or flying a kite. Meerkerk Gardens - Eleven acres of cultivated rhododendron, nature trails and beautiful views. Oak Harbor - Old Town Mall & downtown Oak Harbor. Shop the gift shops and antique stores along Pioneer Way and enjoy lunch at a sidewalk cafe or at the eateries among the shops. Swinomish Casino & Bingo - Take an evening to try your luck at blackjack, dice, roulette, cards, or bingo in Anacortes on SR20. 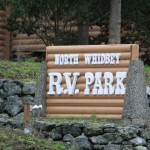 North Whidbey RV Park is located one mile South of Deception Pass Bridge, on Highway 20. From the North, turn left on Cornet Bay Road at the stop light near the main entrance to Deception Pass State Park. Approximately one block on the right is the entrance to our park. 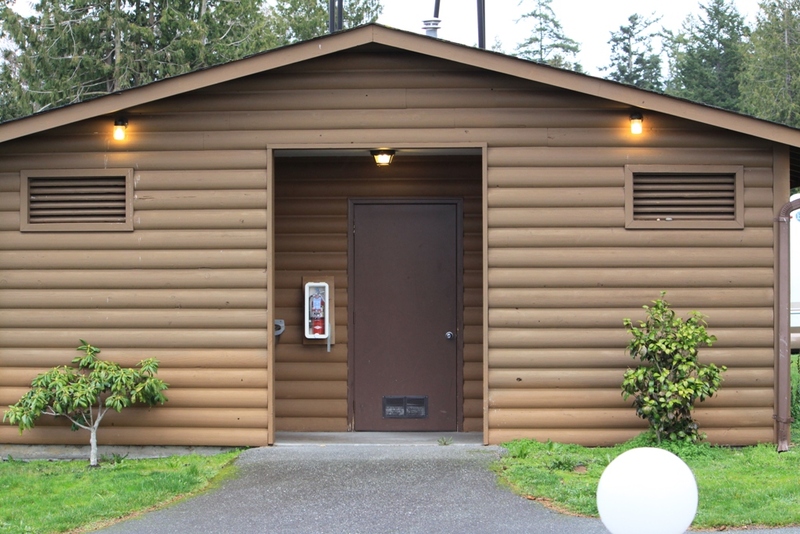 The address is 565 W Cornet Bay Rd, Oak Harbor, Washington 98277. A short walk into Deception Pass State Park will take you to 30 miles of hiking trails, 19 miles of saltwater shoreline, a freshwater swimming beach, scuba diving, saltwater and freshwater fishing, and spectacular views. Fine dining, nine hole golf course, Putt-putt golf, gift shops, and convenience stores are all within a two block walk. There is also a marina with saltwater boat launch for the crabbers and fishermen about 1.5 miles farther down Cornet Bay Road from our park. They offer senior (50+), AAA, & Good Sam discounts. We actually paid $29 a night. The campground was clean; bathrooms & showers were clean. The manager was friendly and very helpful. I think our kids would have enjoyed stay here (we left them at home). 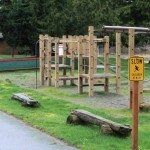 They have an old boat set down into the ground for kids to play on, I would have had lots of fun when I was a kid. 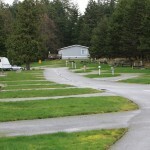 I would recommend this campground to anyone visiting the area. They have free fresh hot coffee. Hot chocolate would have been nice for us non-coffee drinking campers.